So what is Guarana good for? Guarana is good as a general tonic. Guarana can help to cleans out the intestines. Guarana increases mental alertness, improves stamina and improves endurance. 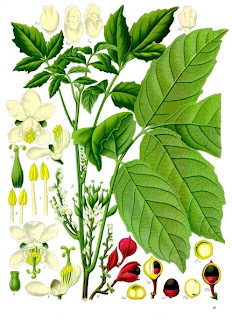 Guarana may be useful in treating headaches, urinary tract irritation and diarrhea. How to make Guarana tea? Add one or two grams of crushed seeds to one cup of water and boil for ten minutes, strain out used herb and let cool before drinking.